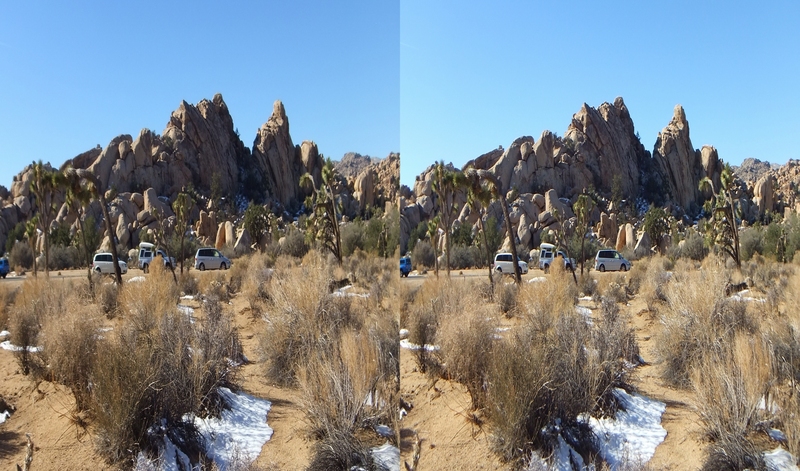 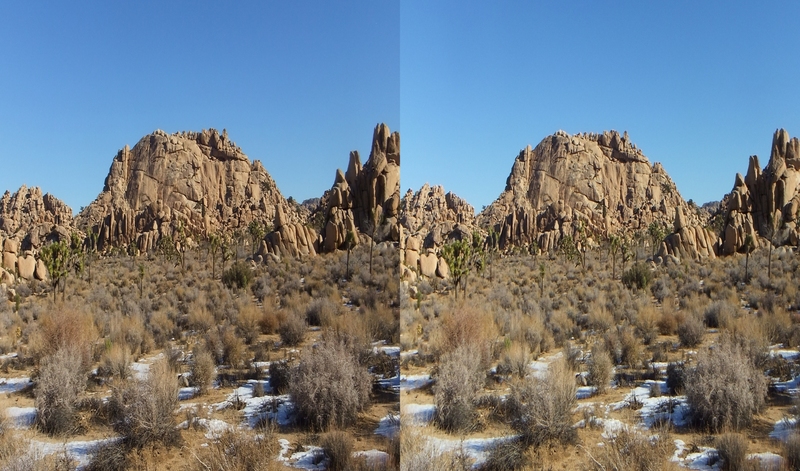 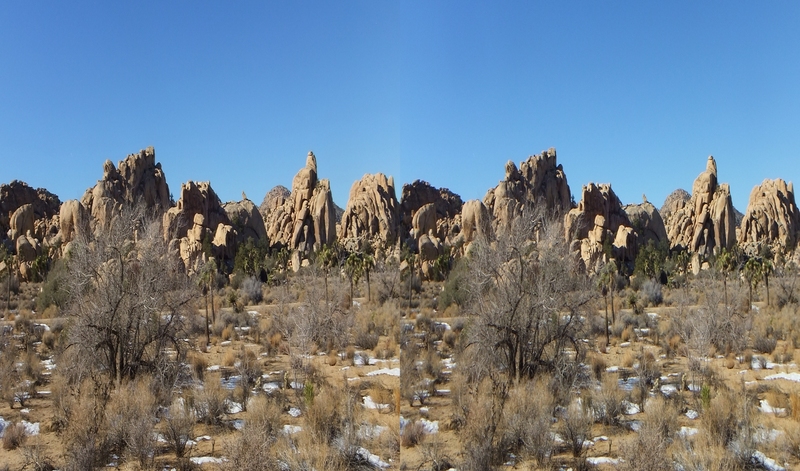 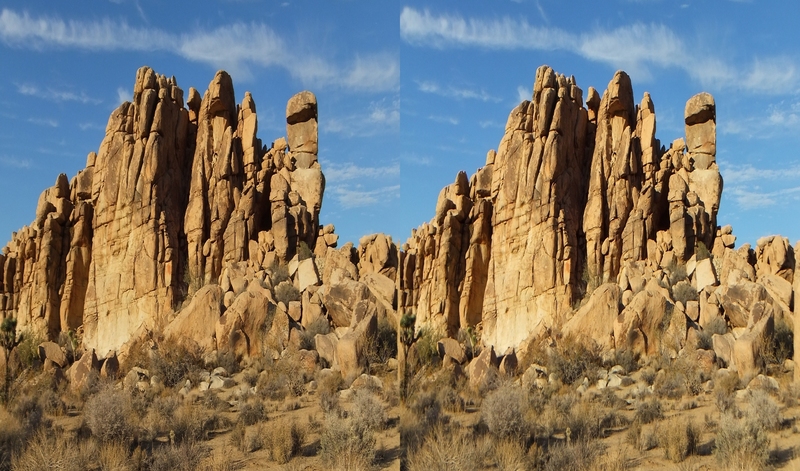 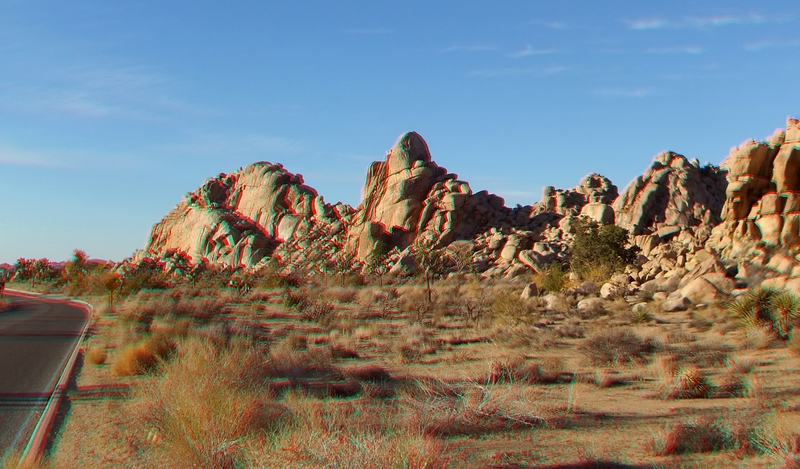 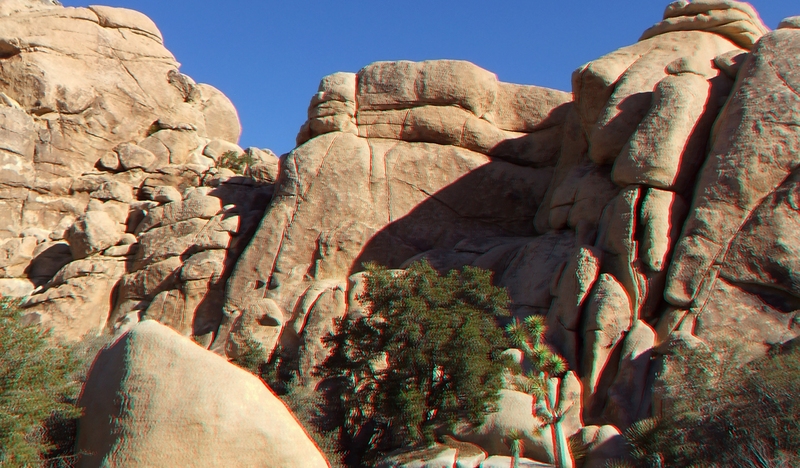 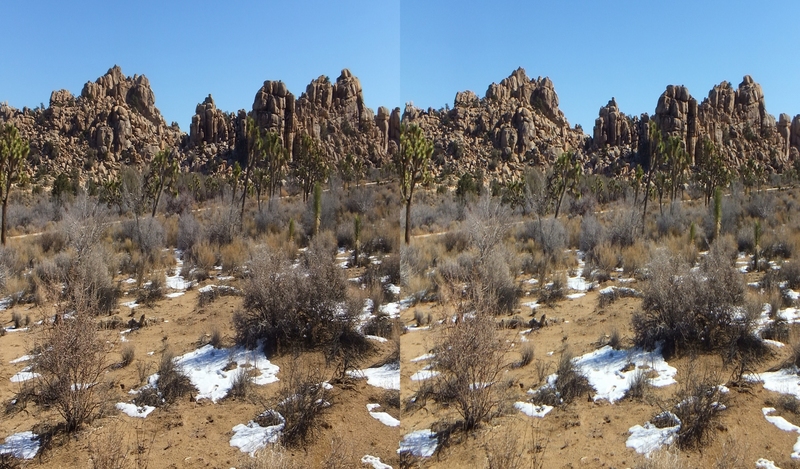 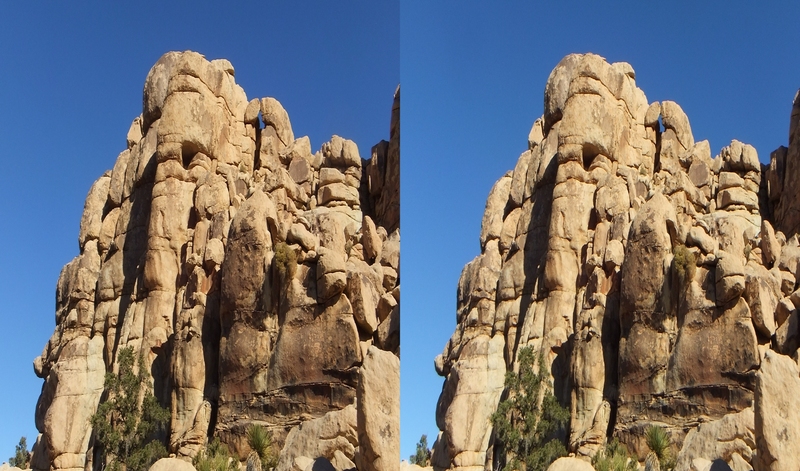 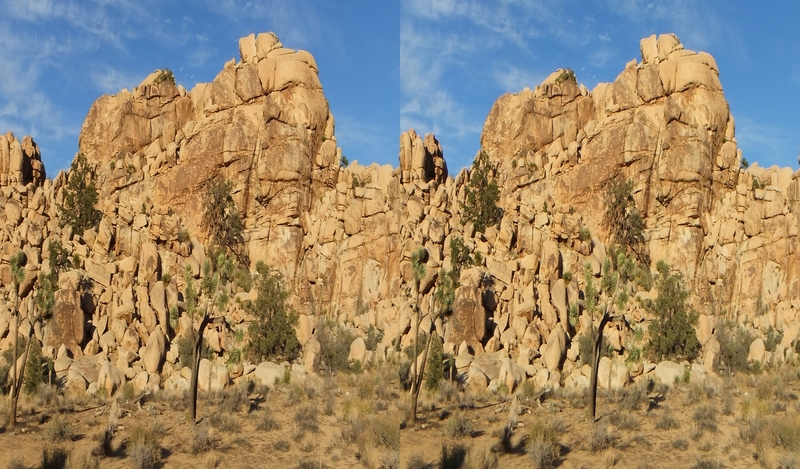 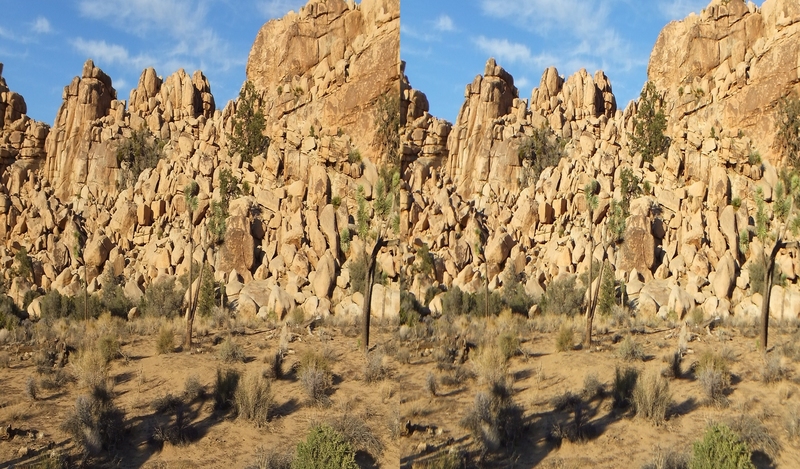 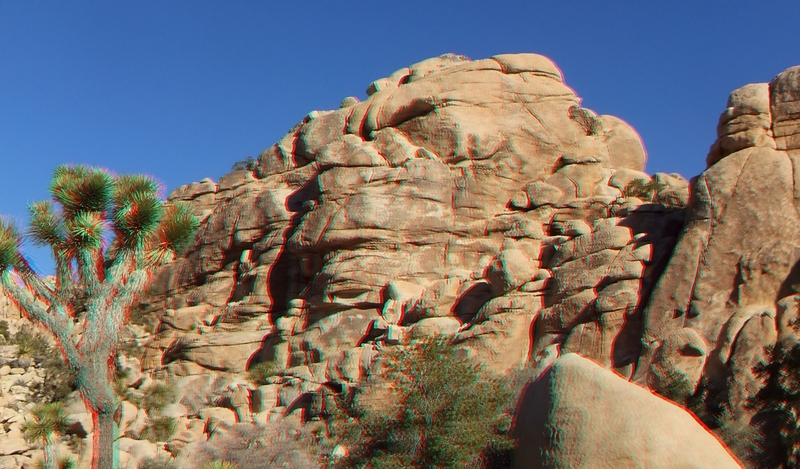 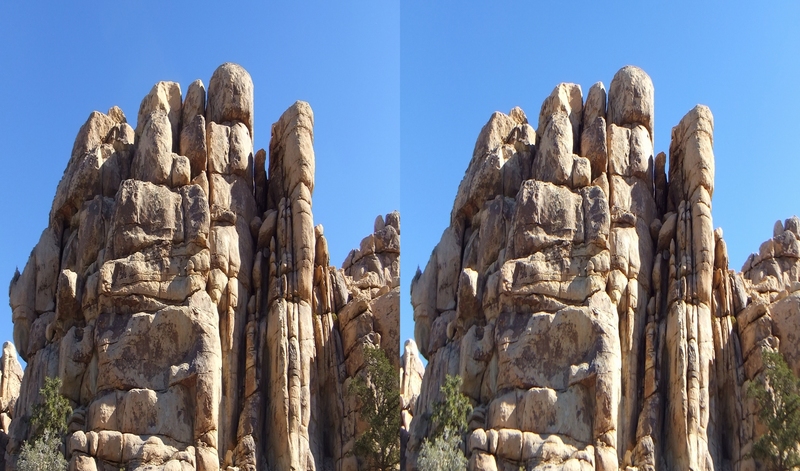 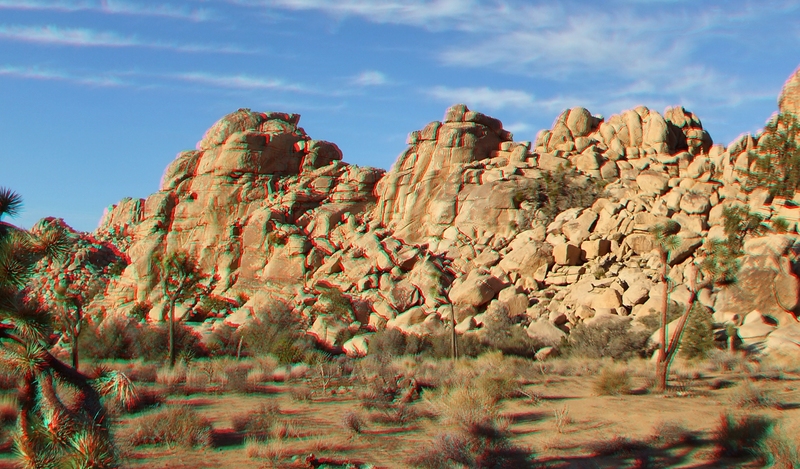 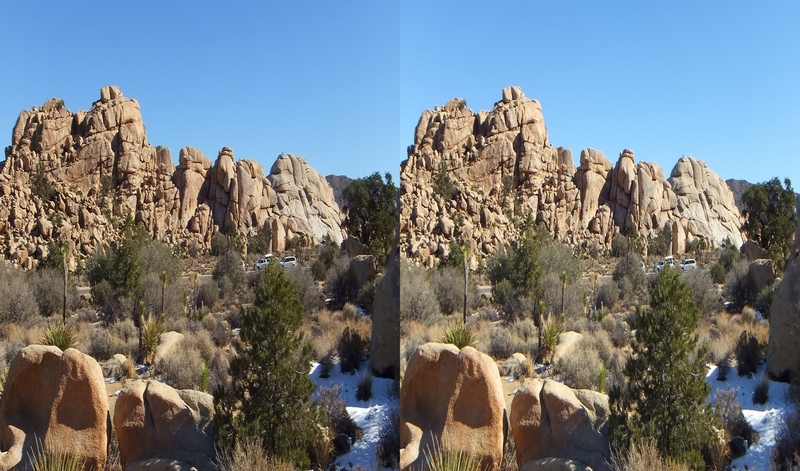 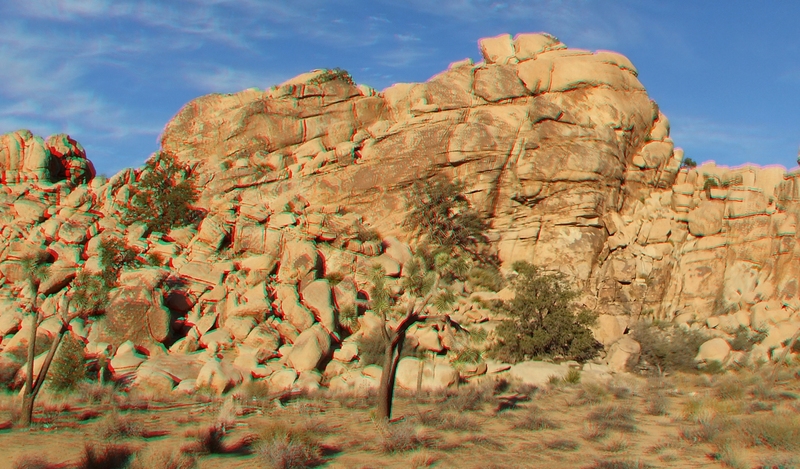 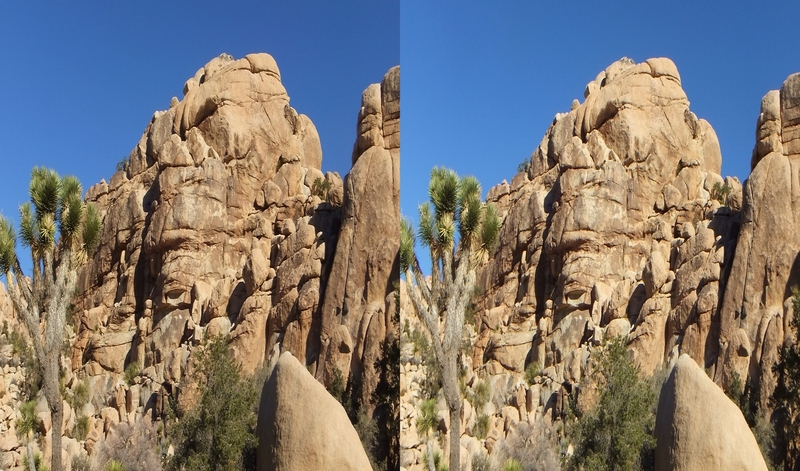 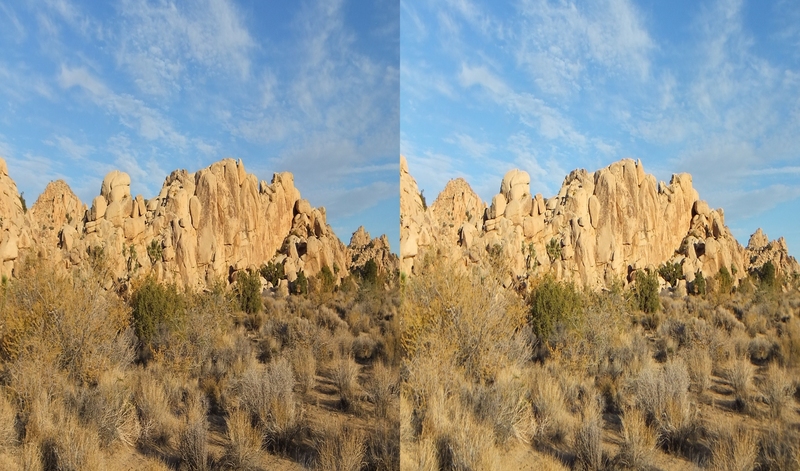 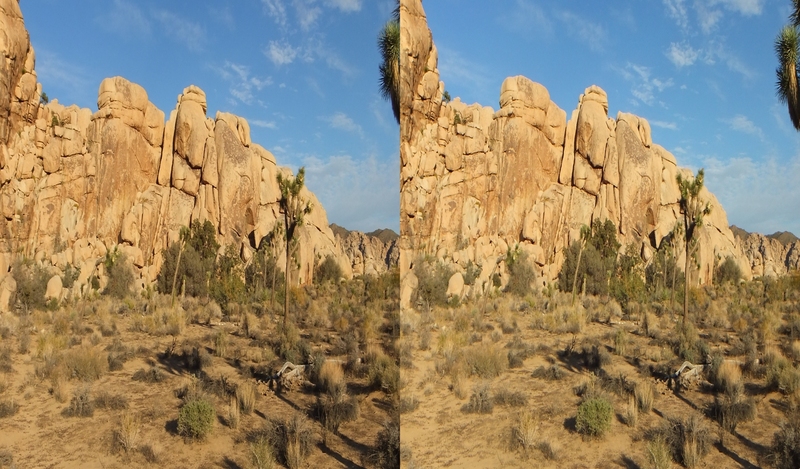 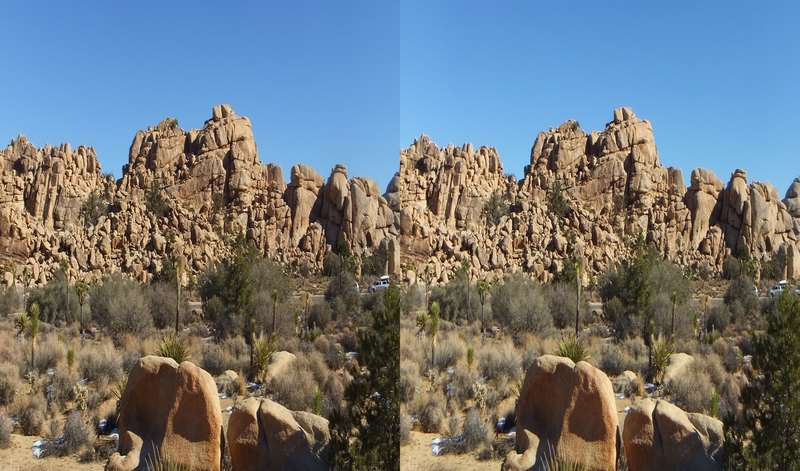 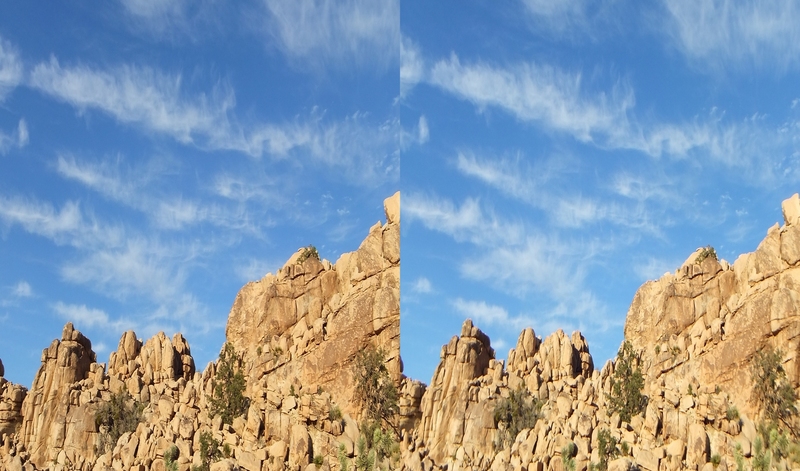 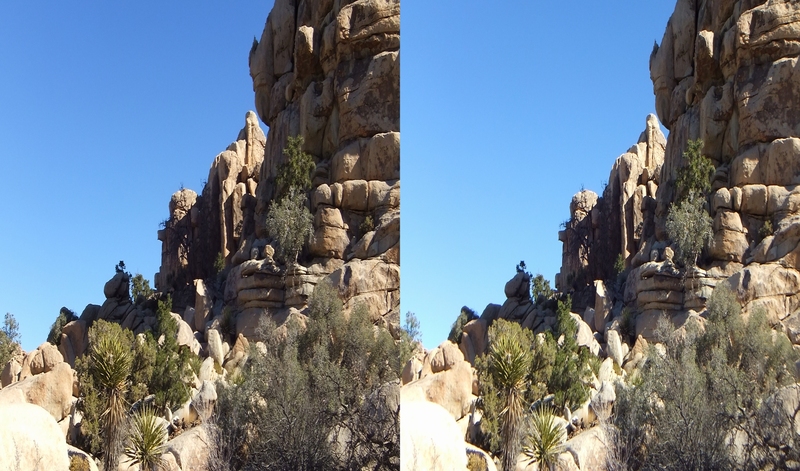 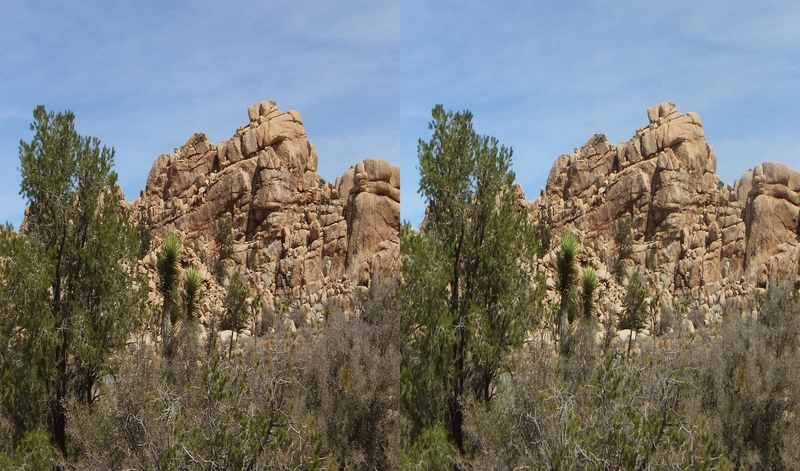 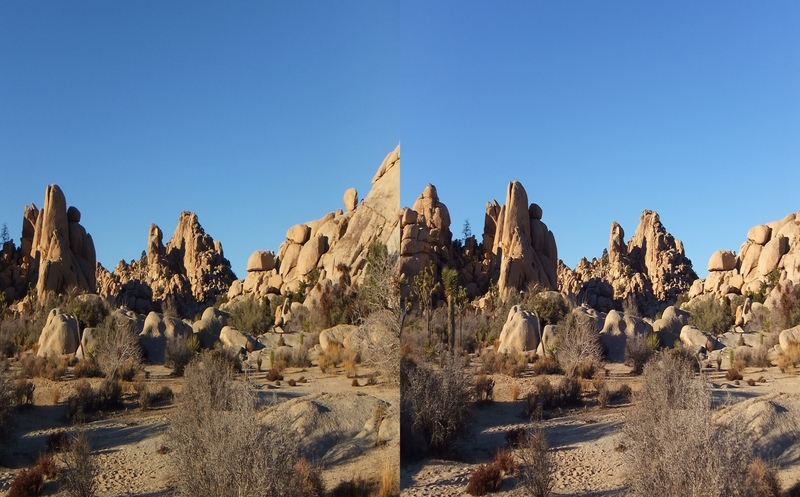 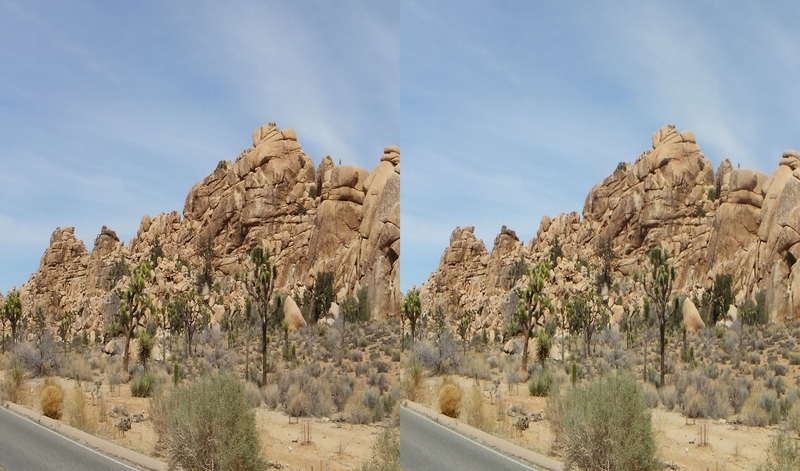 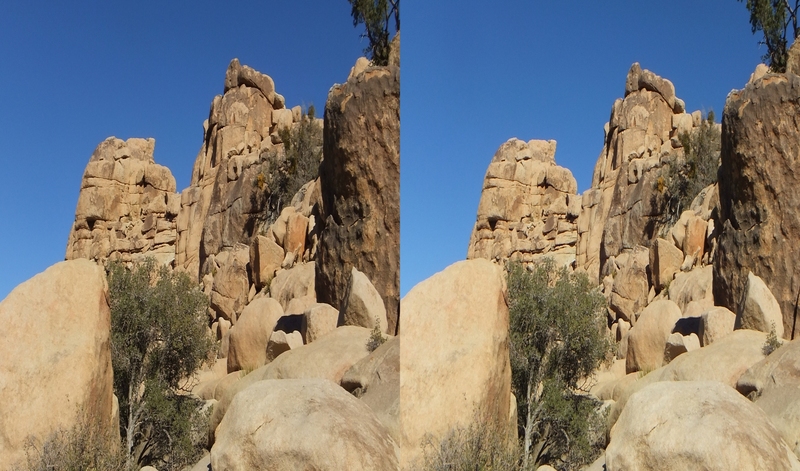 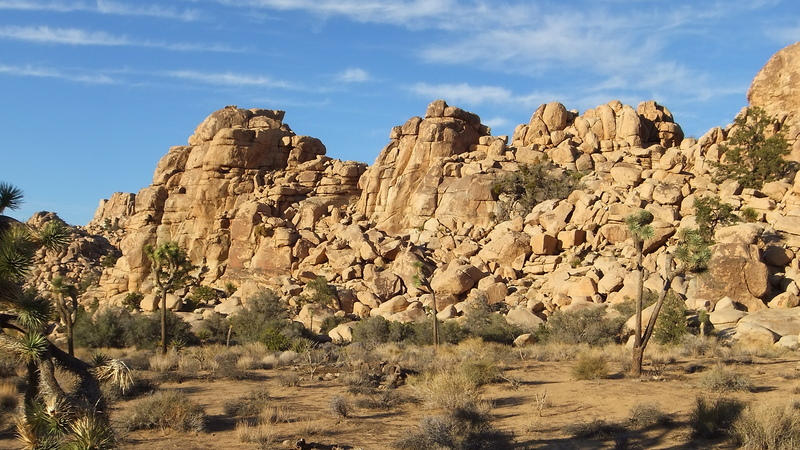 WHILE TRAVELING PARK BOULEVARD from the West Entrance to Hidden Valley Campground, extensive inselberg clusters begin to close in on your field of view. 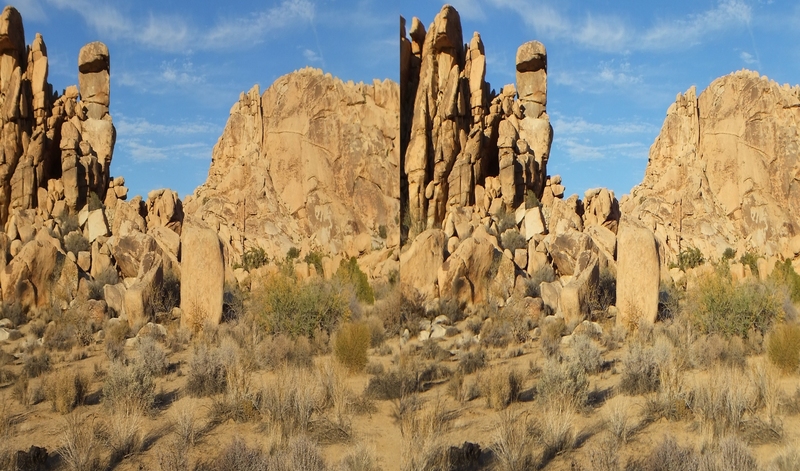 This is the western edge of Wonderland of Rocks. 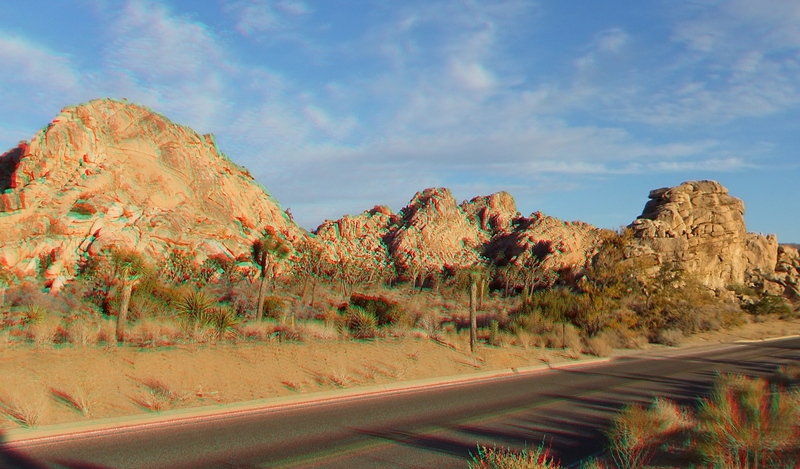 Your avenue seems to be curving through a canyon of strange and often times ominous-looking formations. 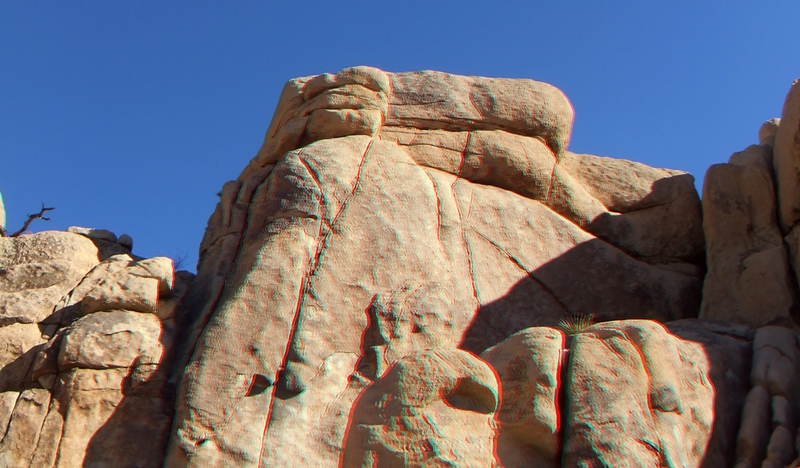 Many are 100, 200, and even 300ft high. 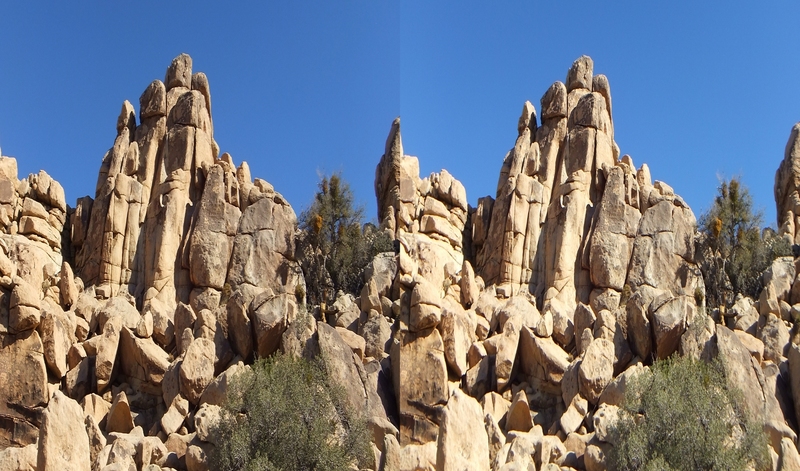 Along the right-hand side, Park visitors will encounter an area known as Hemingway, with its various rock climbing hills, domes, crags, towers, cliffs, roosts, tiers, dihedrals, pillars, piles, pinnacles, points, climbables, cracks, canyons, nests, quarries, faces, corridors, terraces, buttresses, grottoes, boulders, blocks, clumps, aiguilles, isles, clumps and walls. 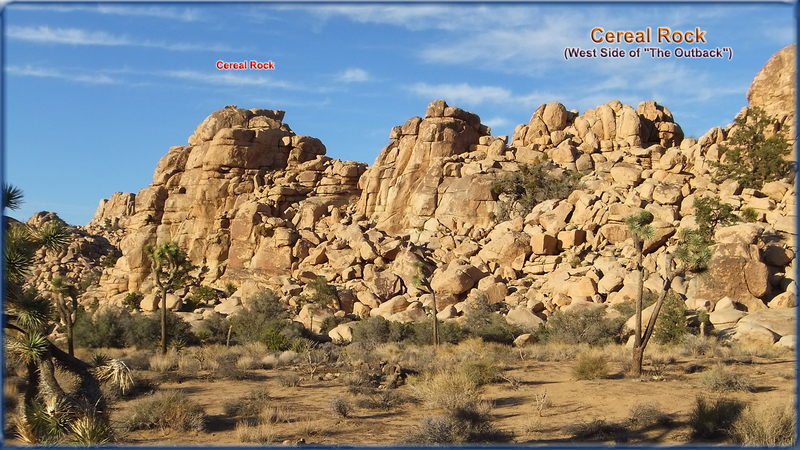 (Pardon me if I missed a few. 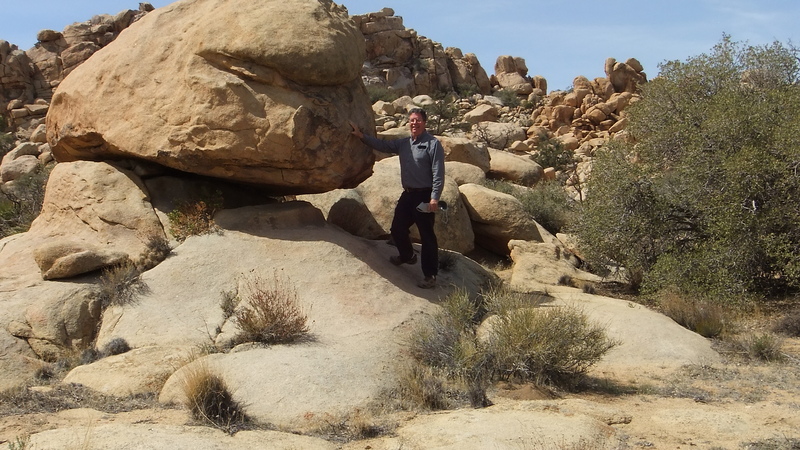 I grow feeble.) 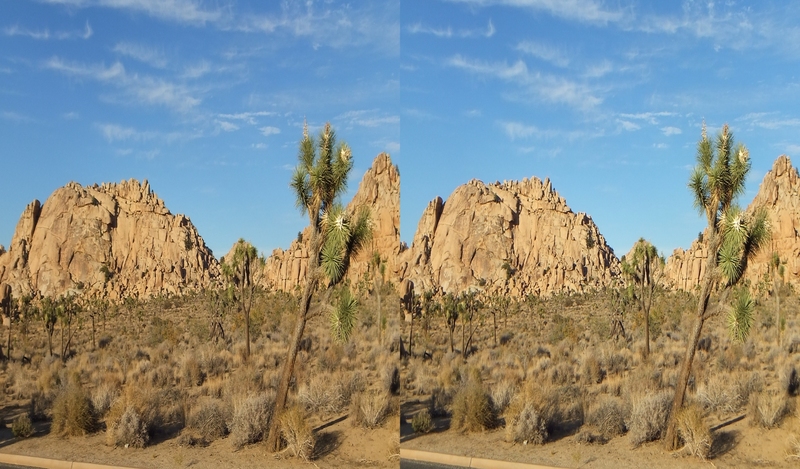 Opposite Hemingway, the east or left-hand side of Park Blvd. 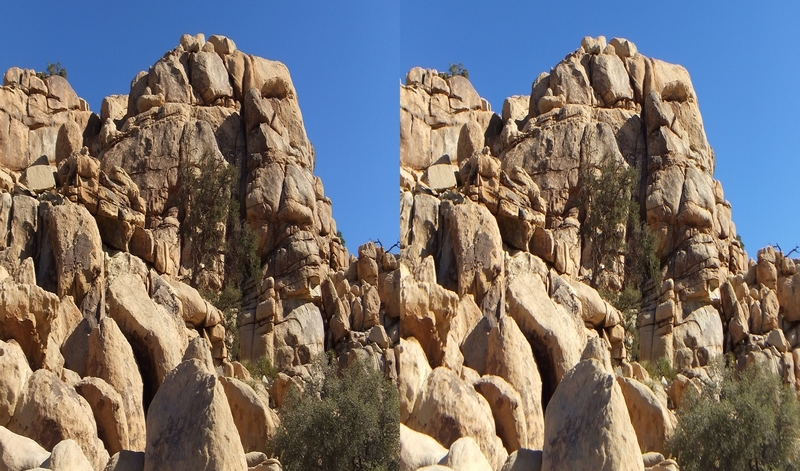 begins with a set of similar clusters that are featured in this Gallery. 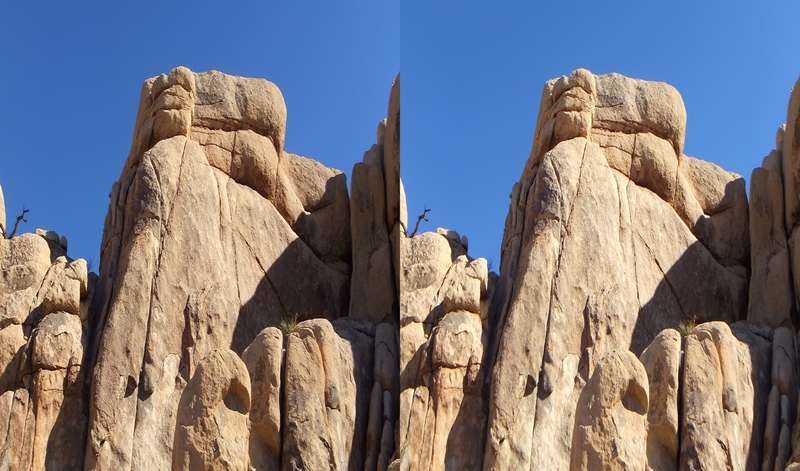 The first of these is a triplet. 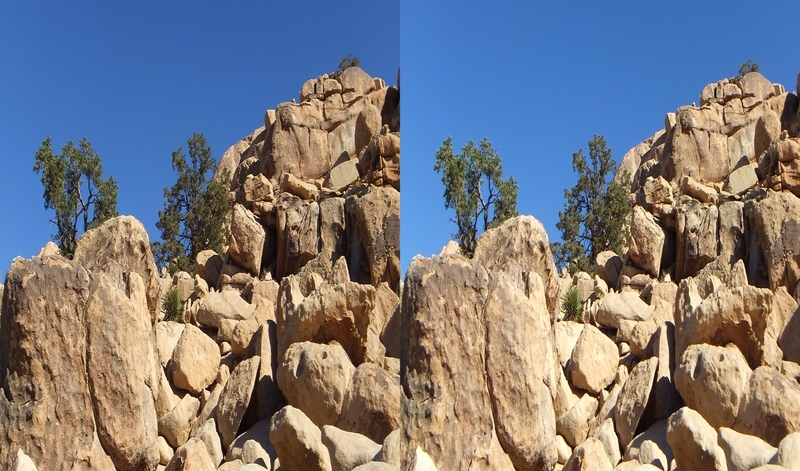 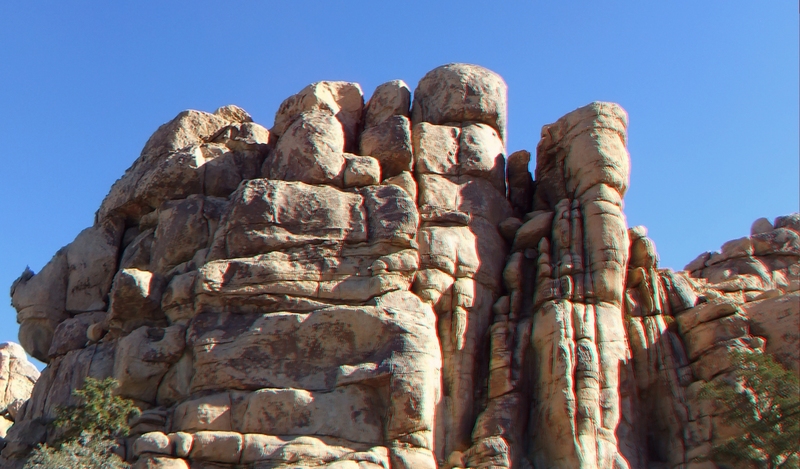 As usual, the hills and rock piles have been given odd, often times humorous nicknames by early rock climbers. 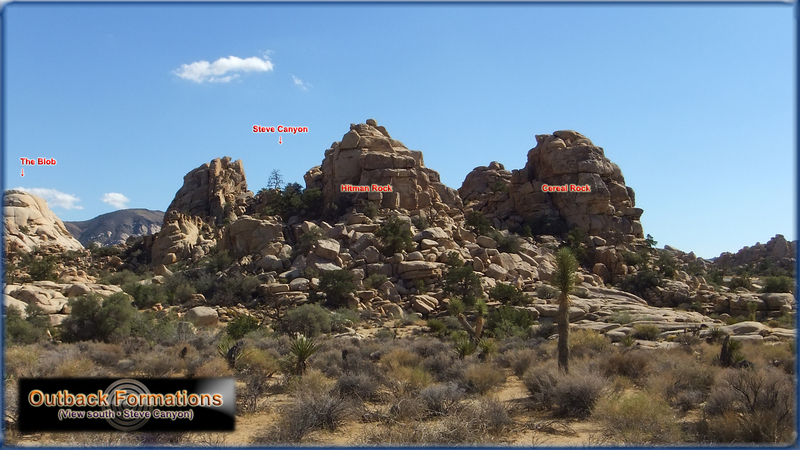 This initial group includes The Aviary, Watts Towers, and X-Factor Dome which will be found in Part 2. 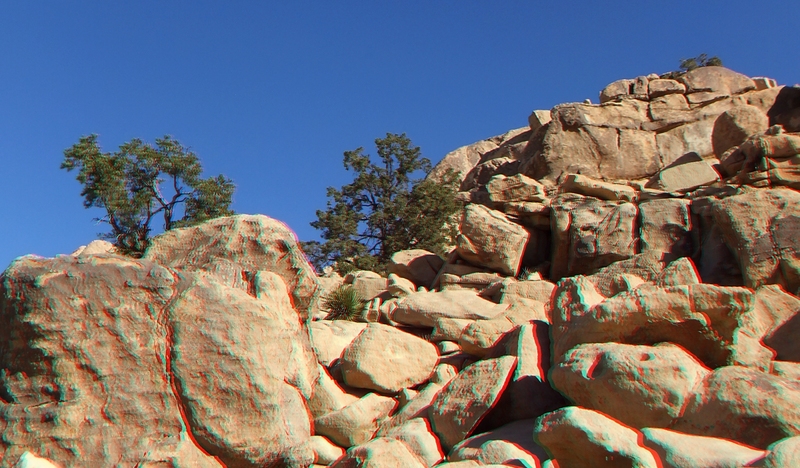 Moments later, another set begins. 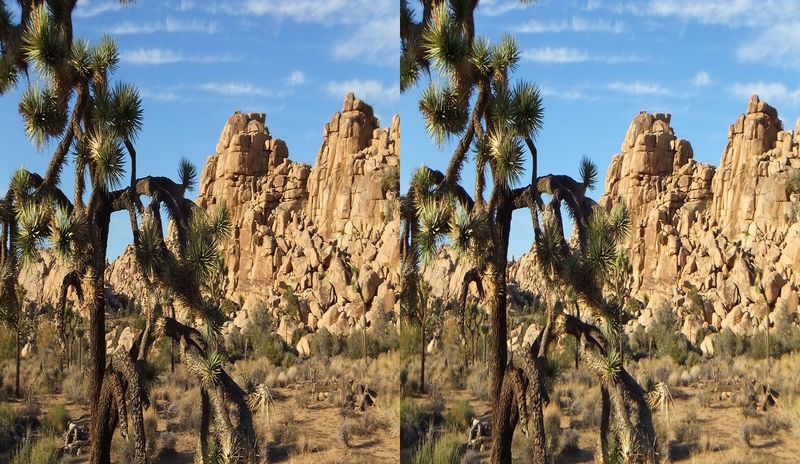 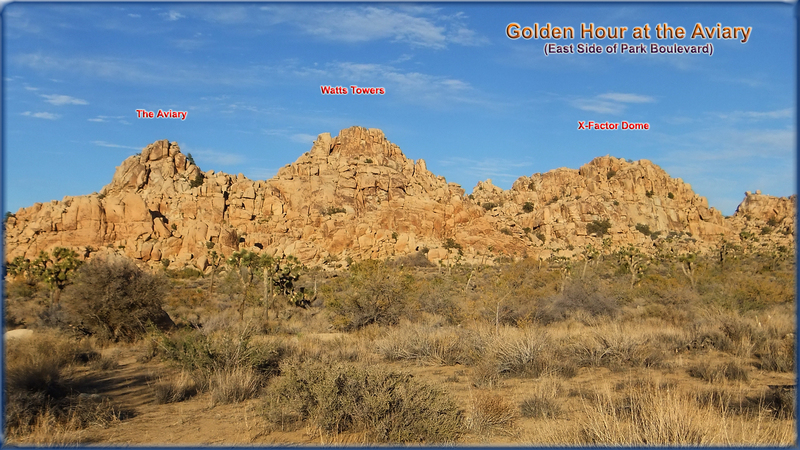 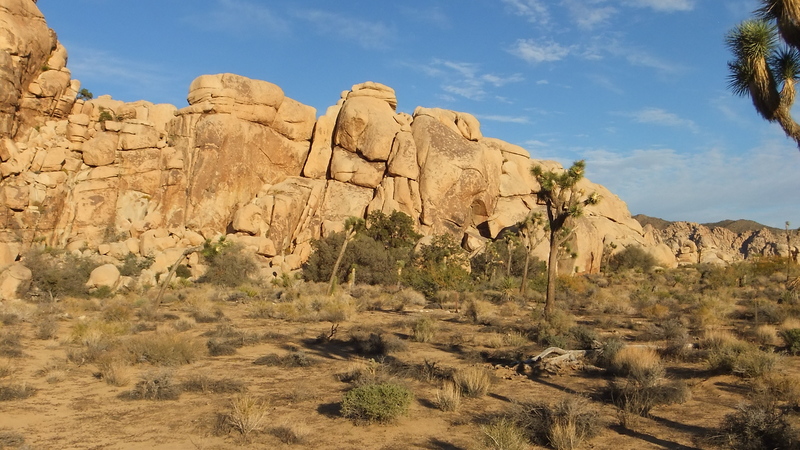 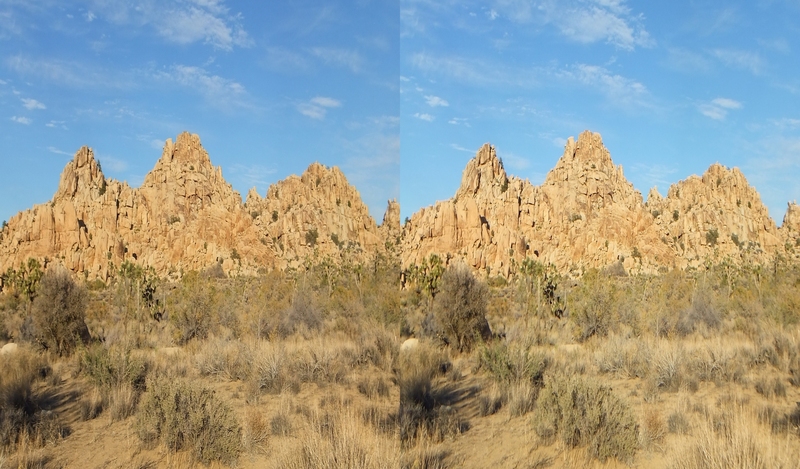 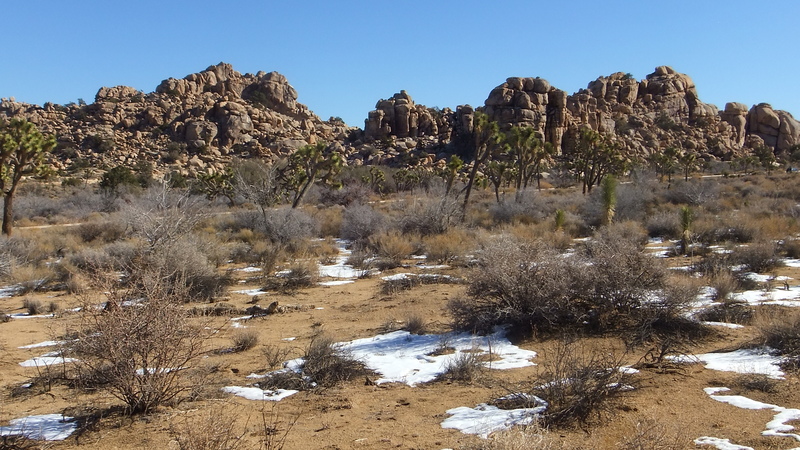 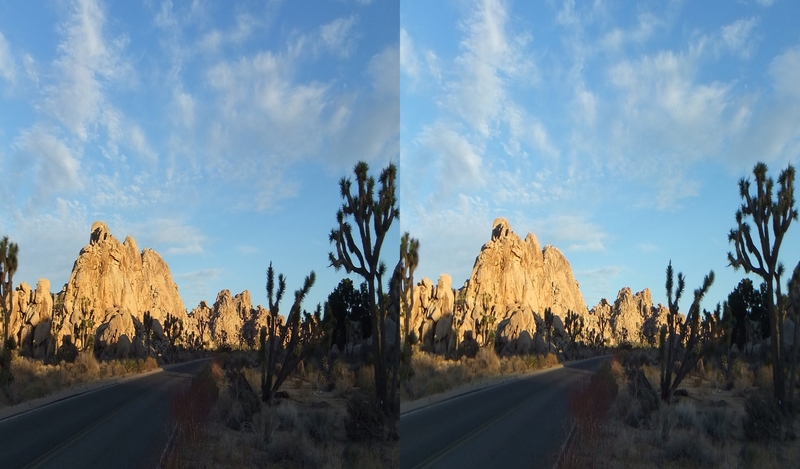 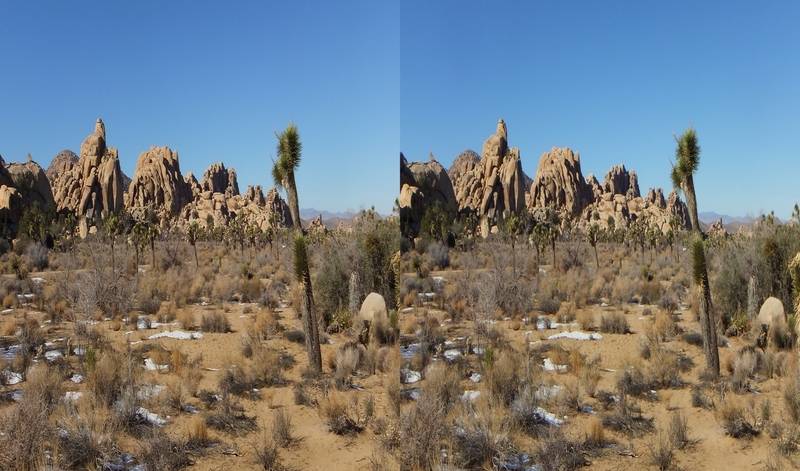 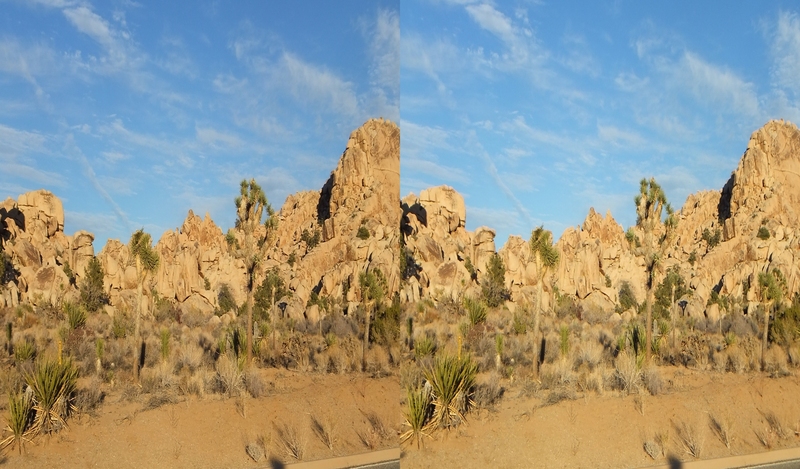 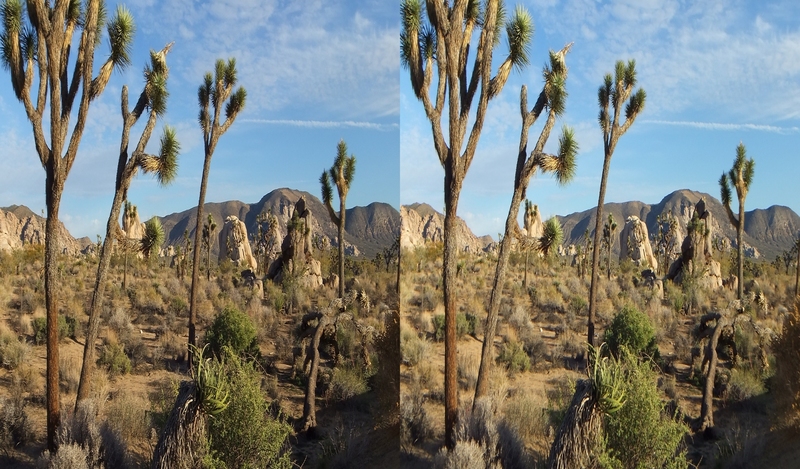 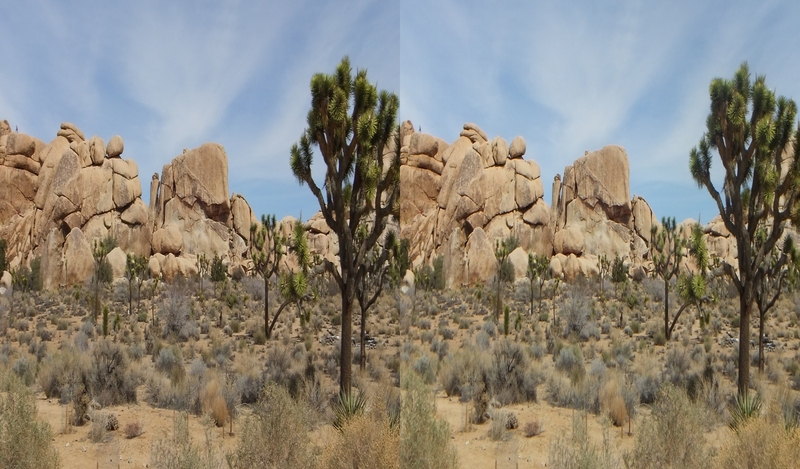 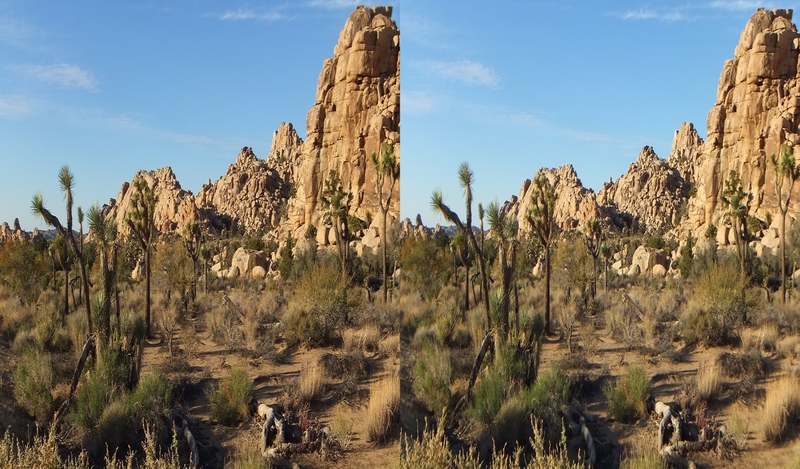 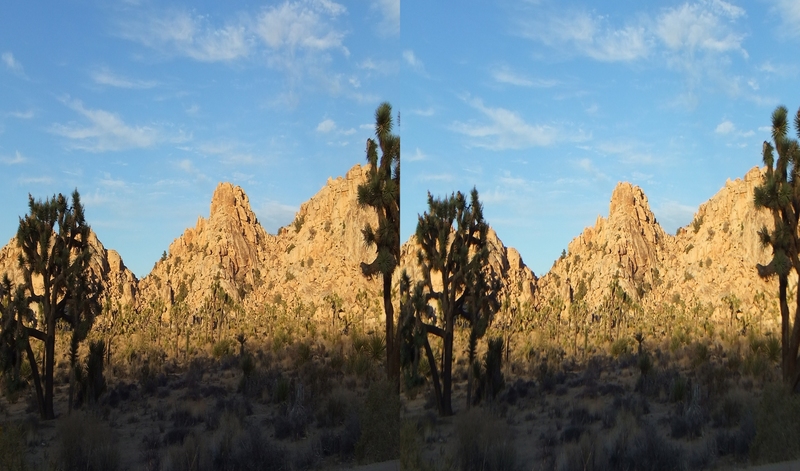 You have arrived at the Western edge of what Park maps describe as “The Outback.” Part 1 of The Outback, which is covered here, lies just north of the grounds forming one of the most popular campsites in Joshua Tree National Park: Hidden Valley Campground. 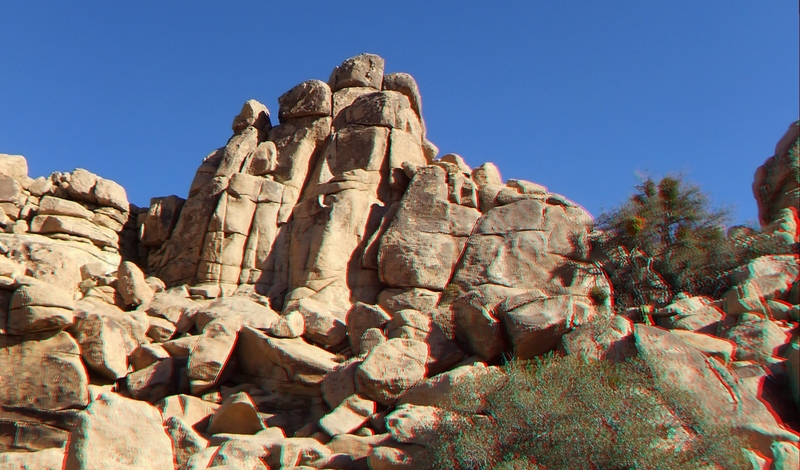 From Hitman Rock to Steve Canyon, this group stretches along the road for half a mile or so. 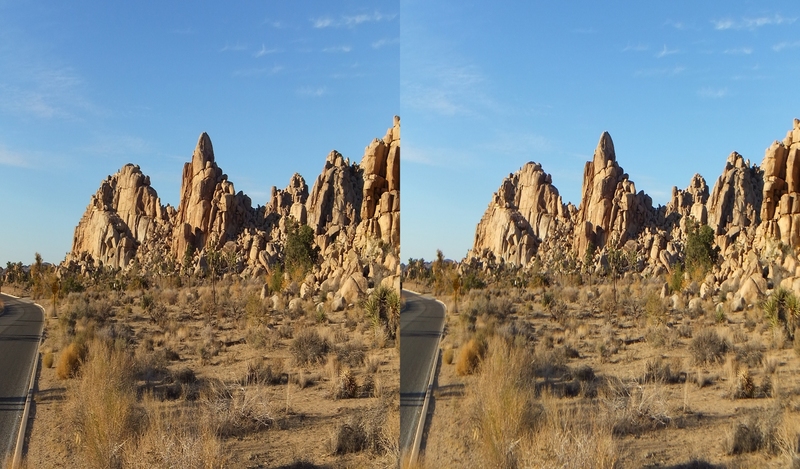 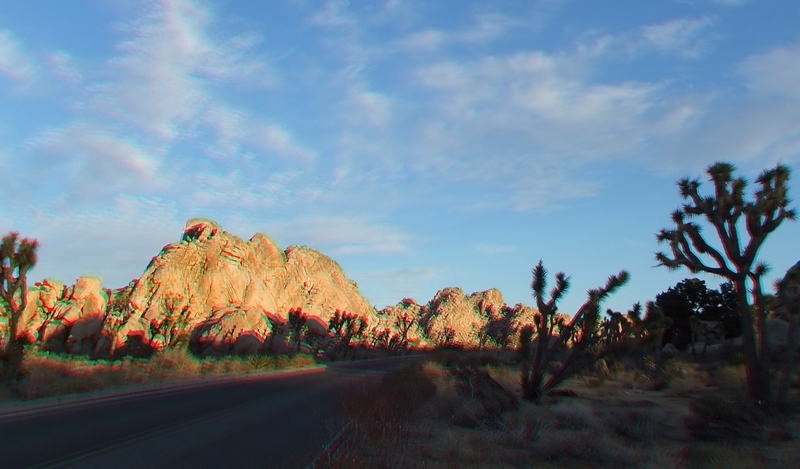 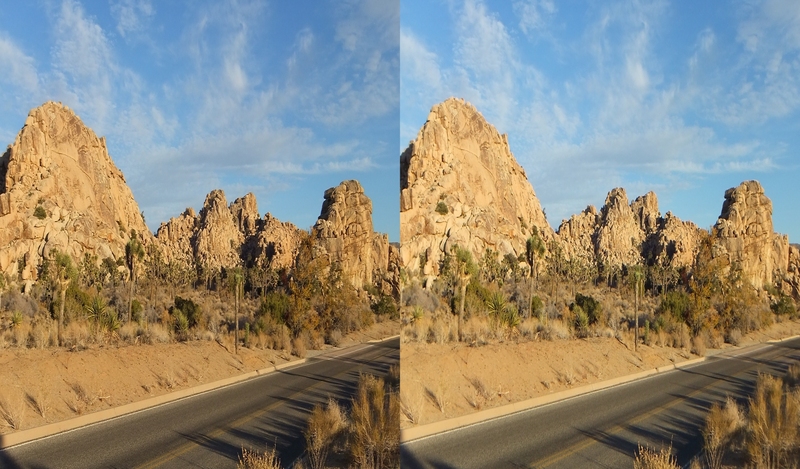 Across the way are the Roadside Rocks which delineate Hidden Valley’s outer boundary (“Real Hidden Valley” as it is sometimes listed in brochures and park guides). 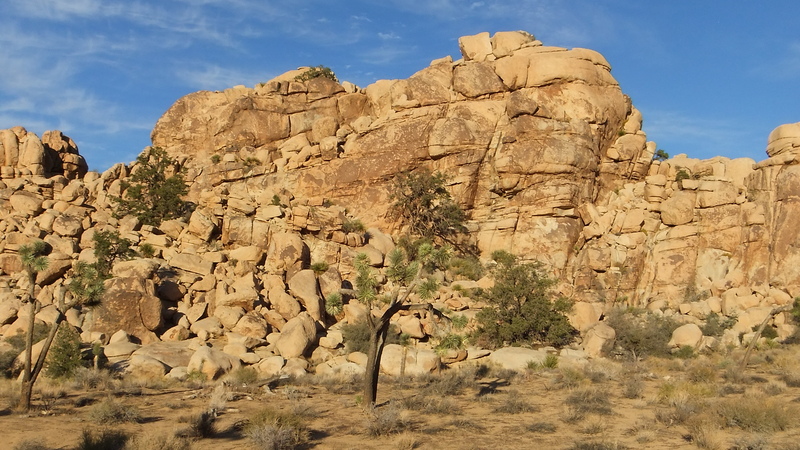 They all lie on the west face of the west side of the Steve Canyon complex. 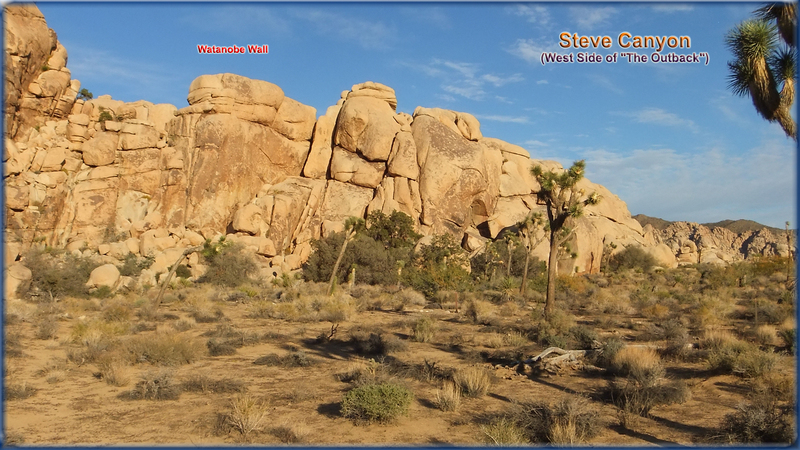 For a detailed 2D/3D Gallery of Steve Canyon, click HERE and a new tab in your browser will open. 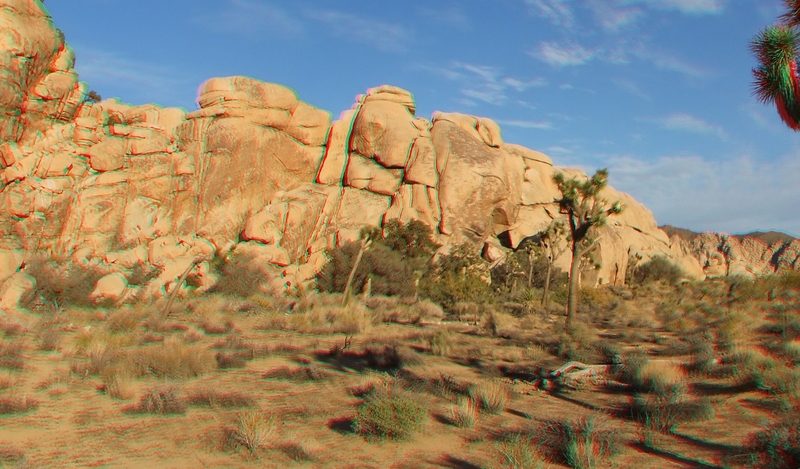 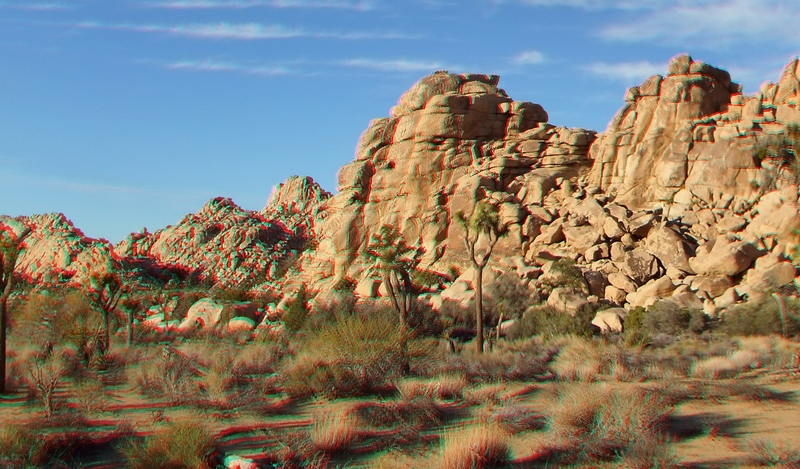 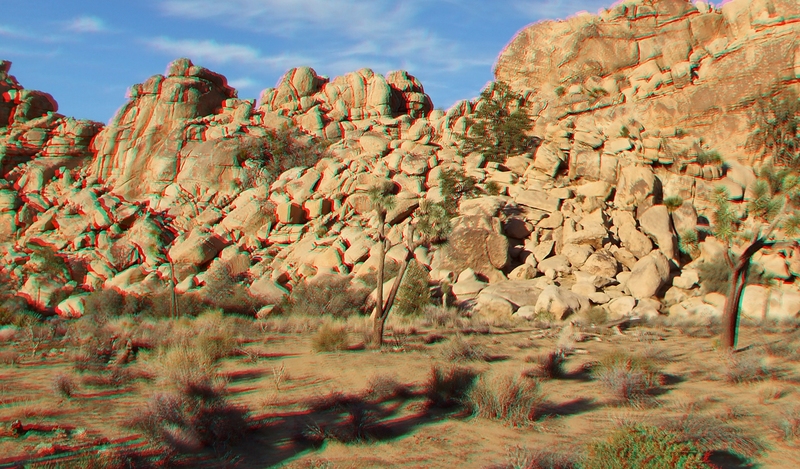 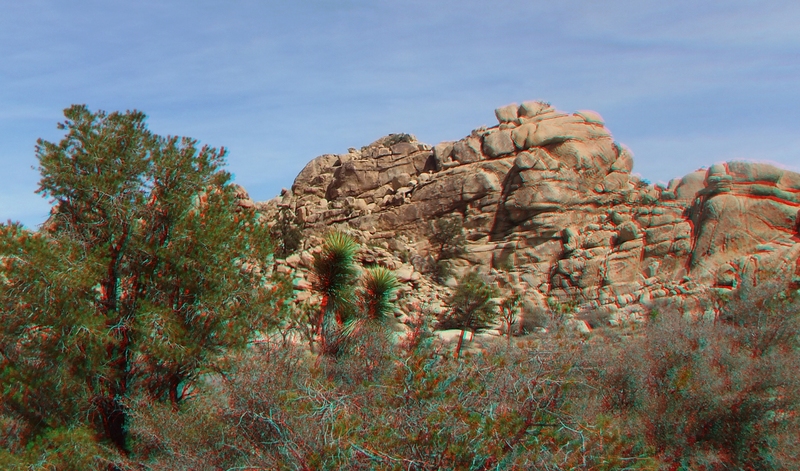 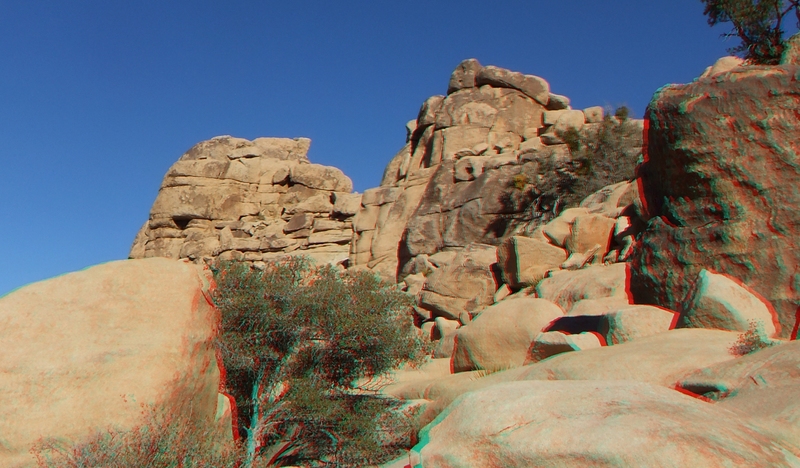 Due to the complex nature of this area, the present 3D selection is one of several Outback Galleries. 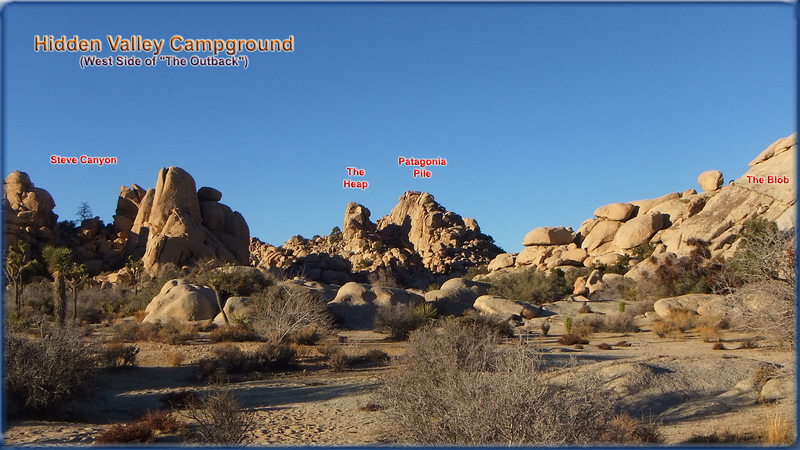 Beyond Steve Canyon in the above photograph, lies Hidden Valley Campground with its famous The Blob, The Old Woman, and Intersection Rock among others, most of which are covered in the main Gallery set. 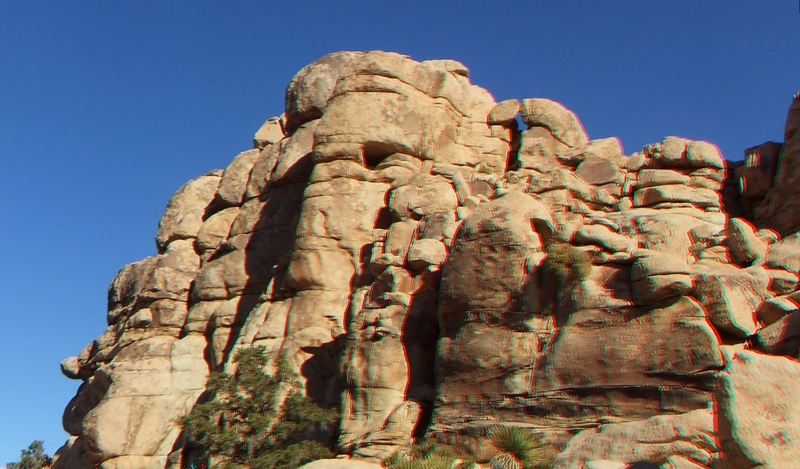 Part Two of the Western area will include The Aviary to Labor Dome, lying just to the north of Hitman Rock. 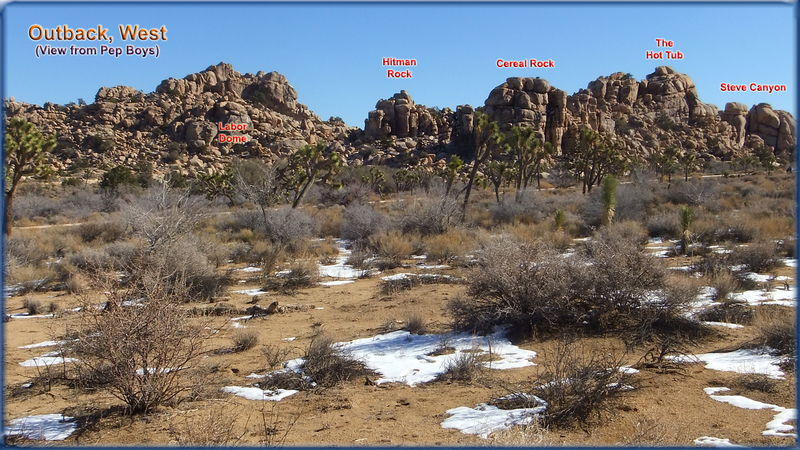 Because this area gets heavy foot-traffic, the Park Service has been replanting the thin spots with new starters. 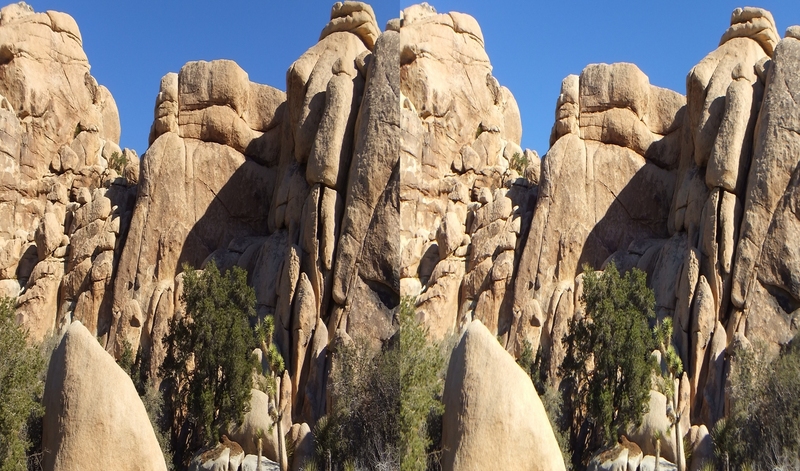 Step carefully to avoid disturbing the seedlings, or remain on the obvious paths nearest the climbing formations whenever possible. 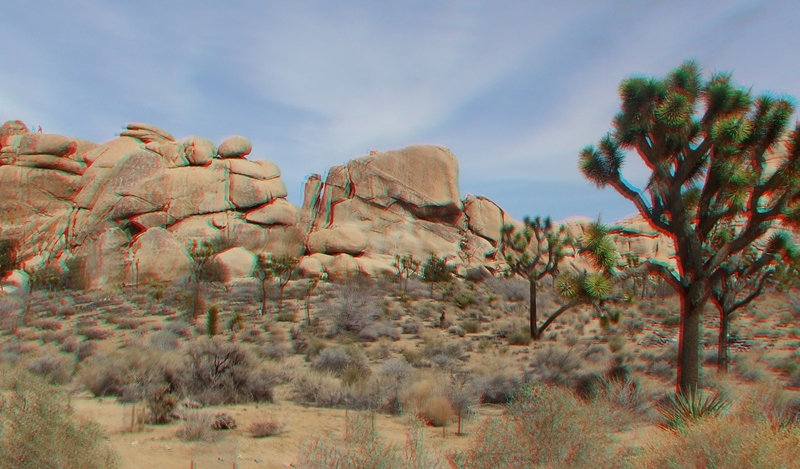 You are encouraged to download as many of these as you wish and share them with others. 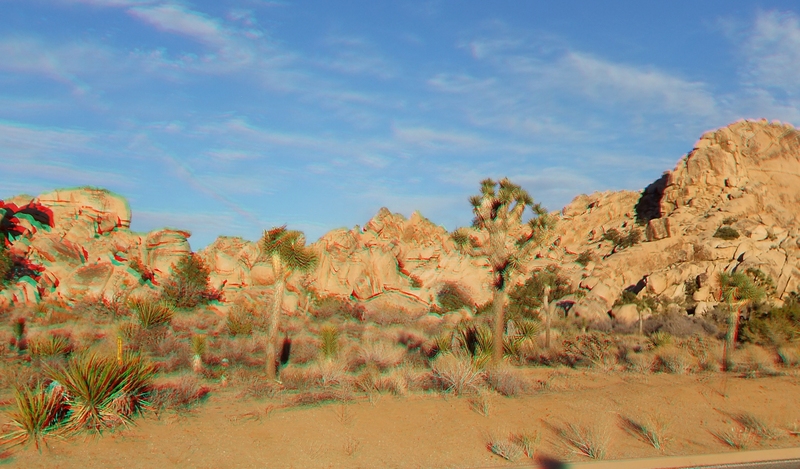 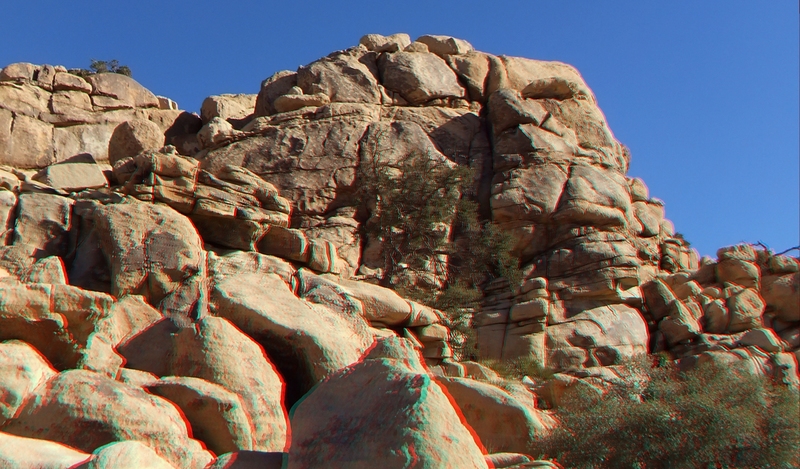 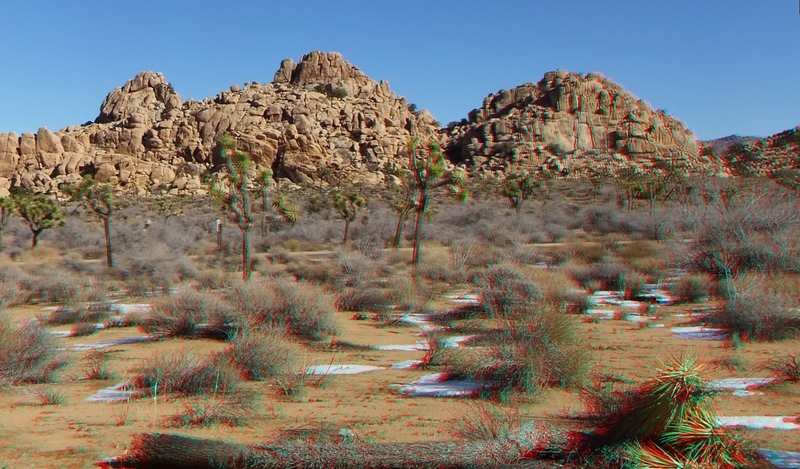 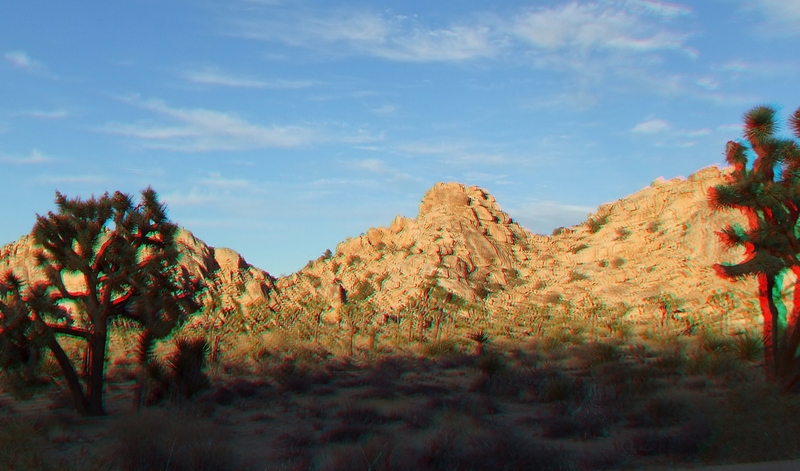 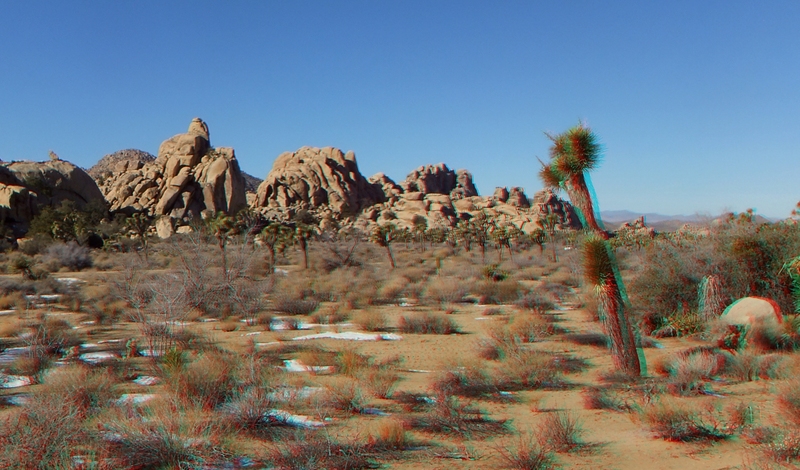 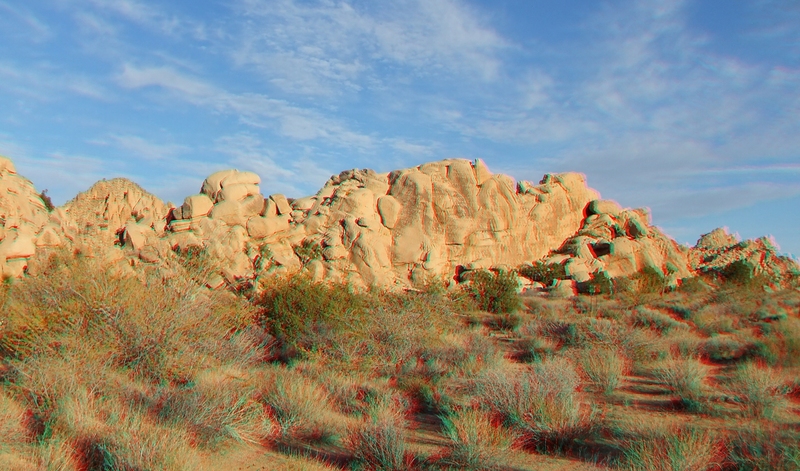 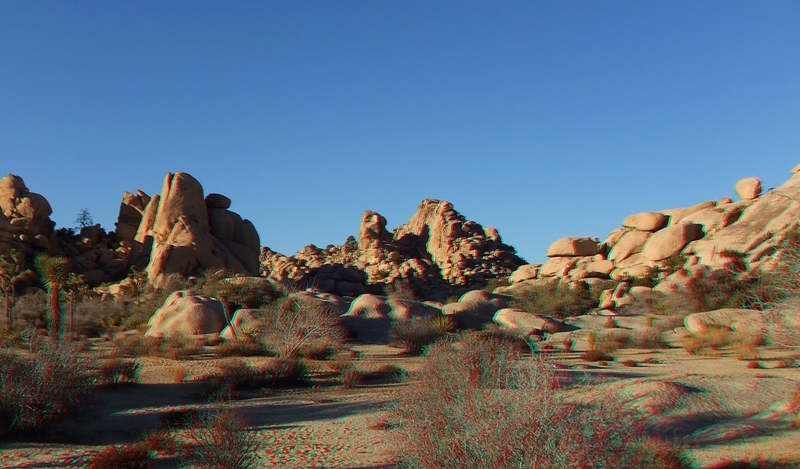 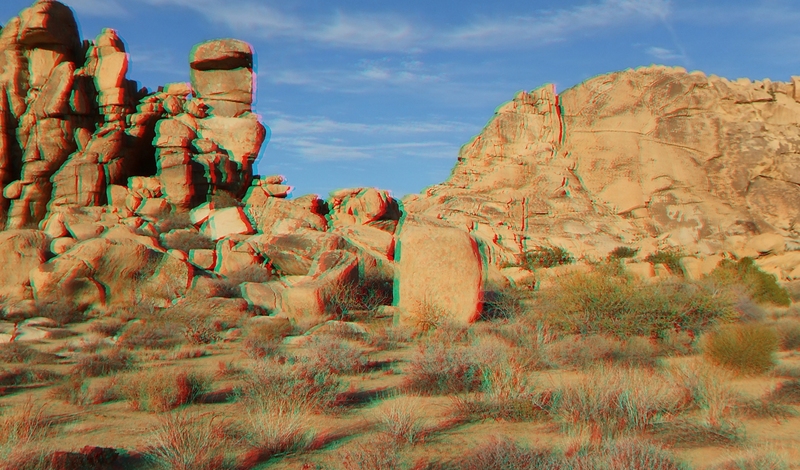 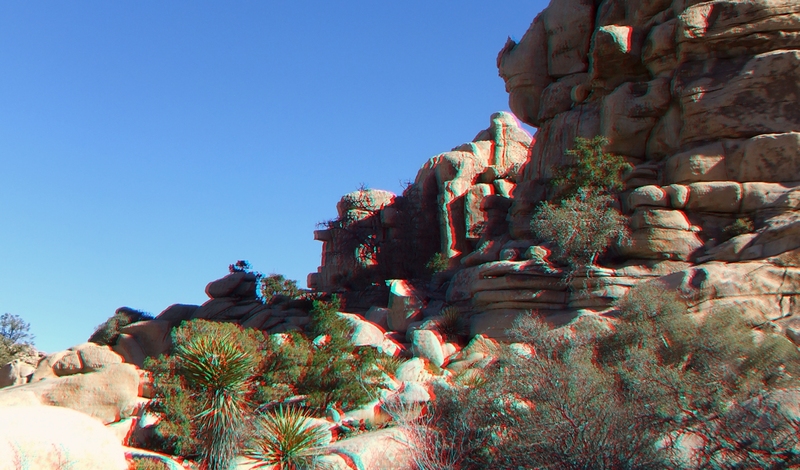 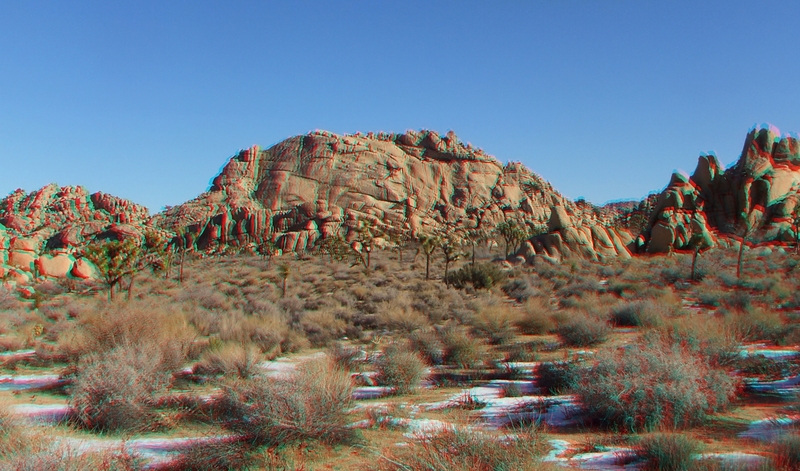 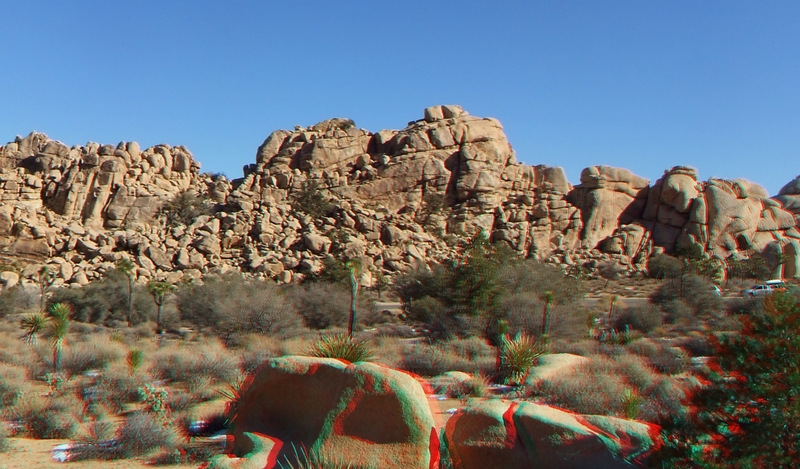 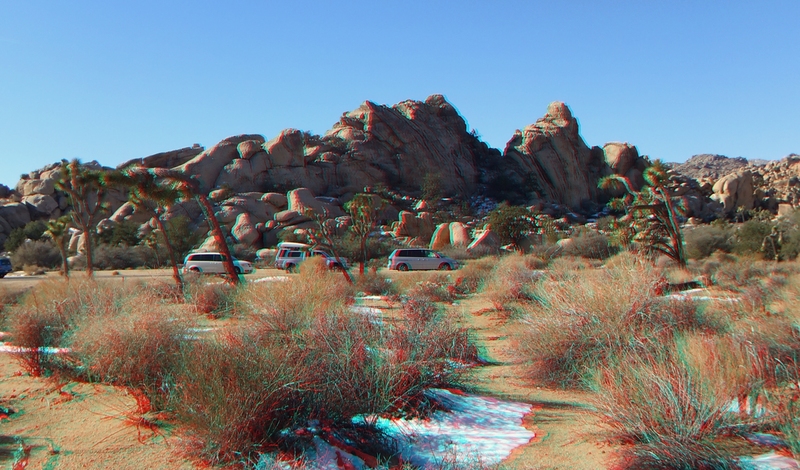 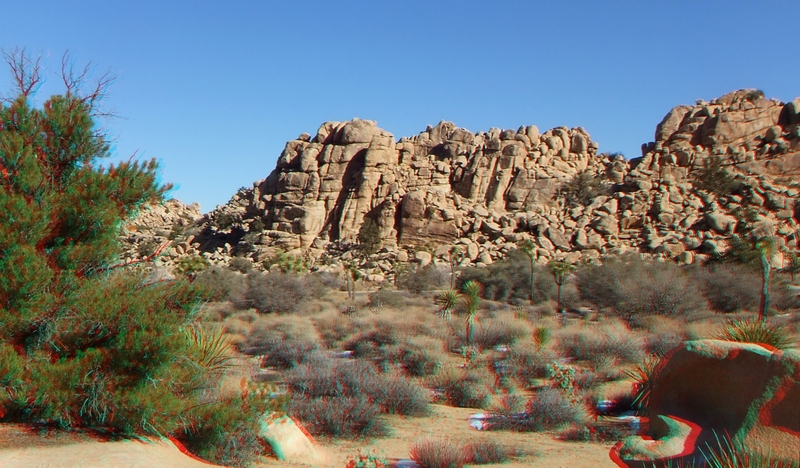 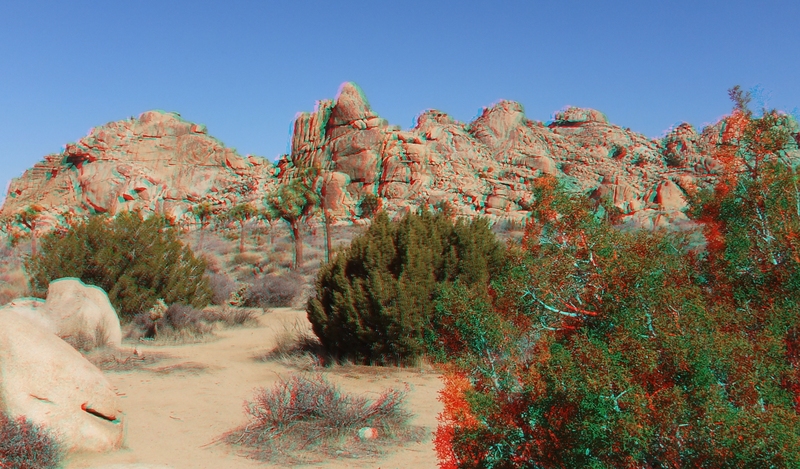 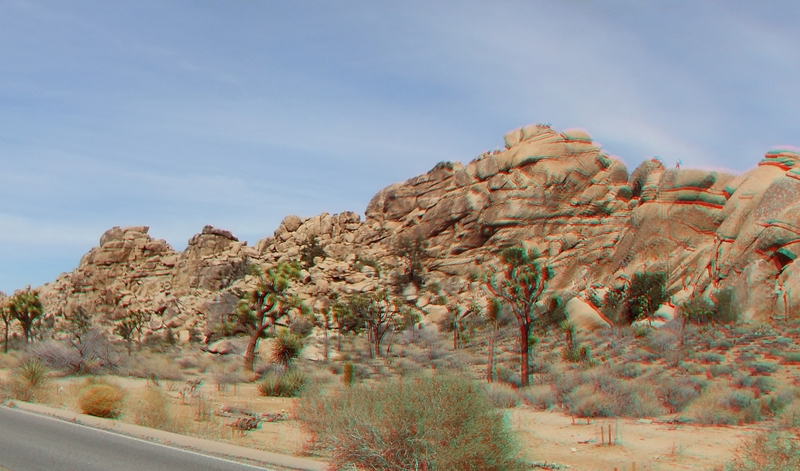 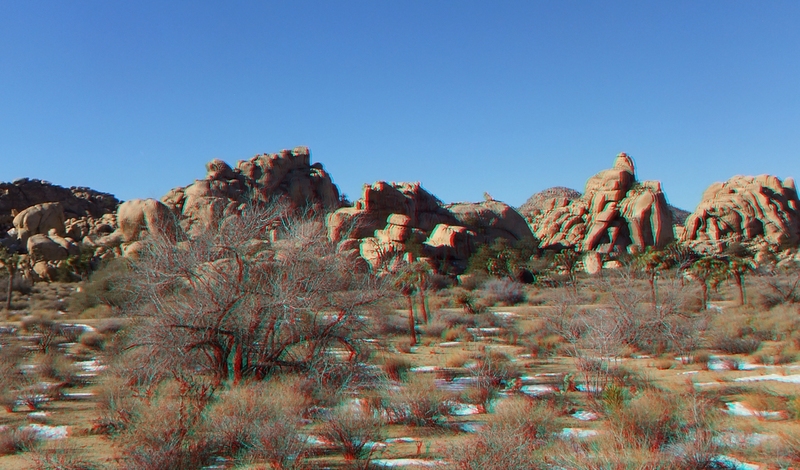 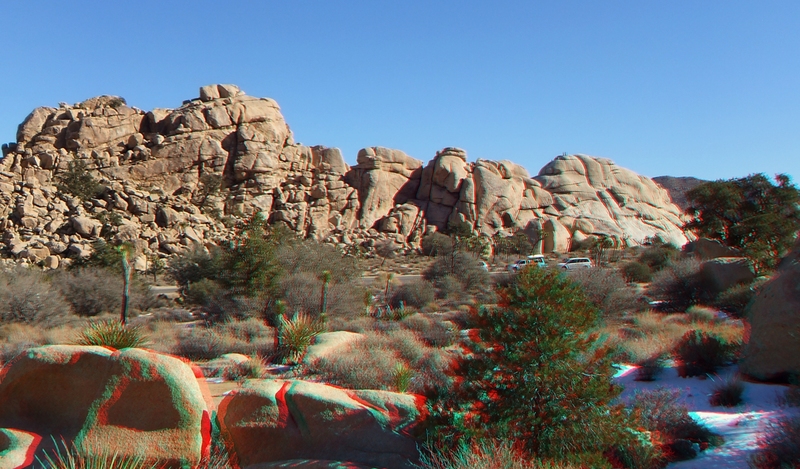 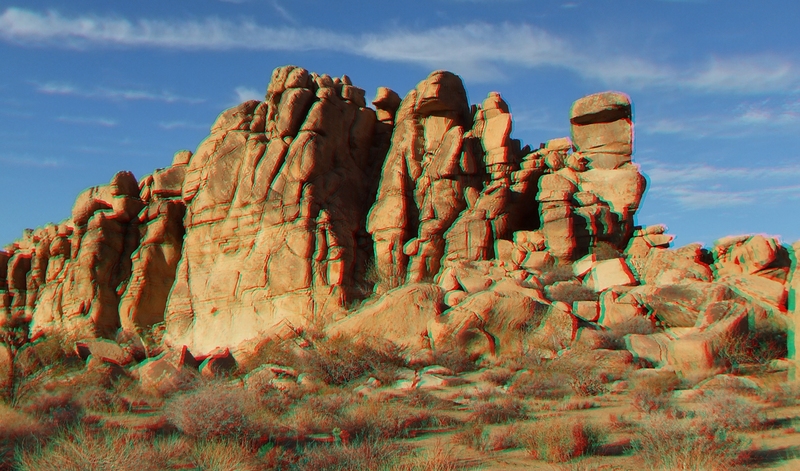 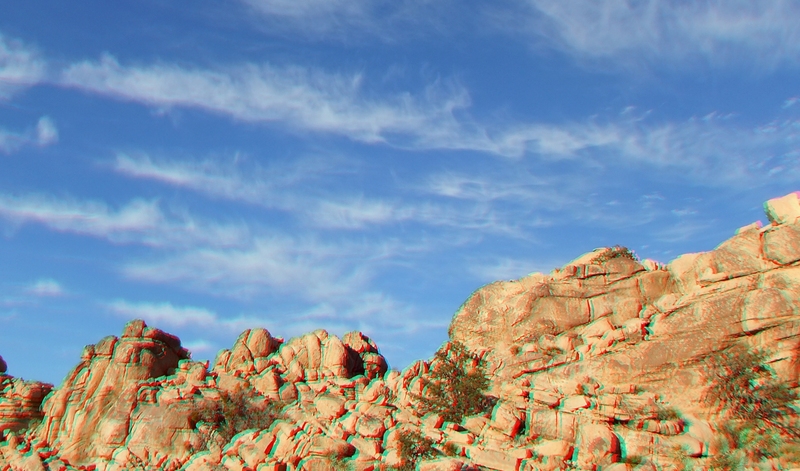 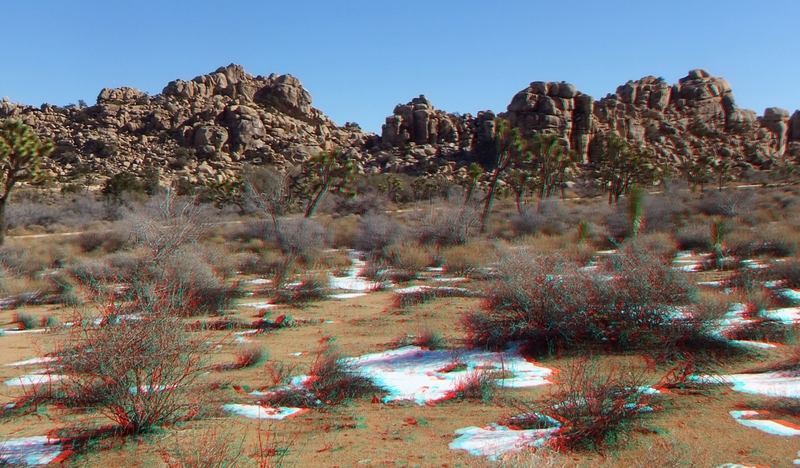 Note: 3D H-SBS images should be saved if you have access to a 3D TV. 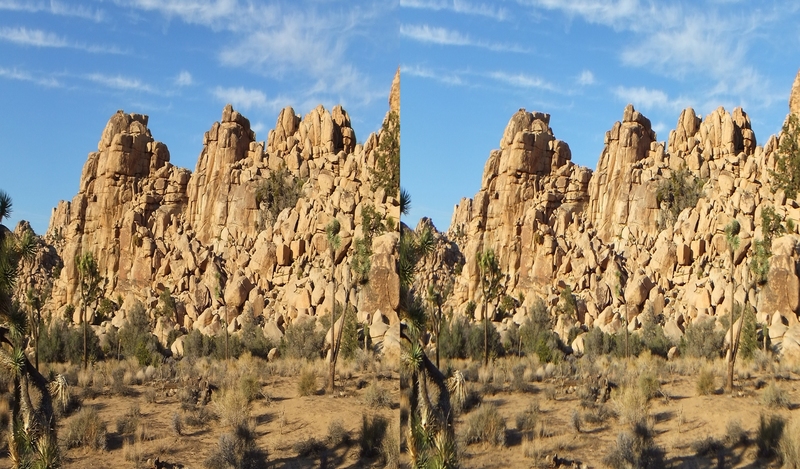 Otherwise it will not be possible to view them properly.